Its simply not enough to go after phony baloney webhosting review sites, you have to go after the companies that put money in their coffers. 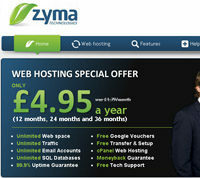 The money is coming from webhosting companies. Because of this practice we are swamped with tons of crap while trying to search for real info on a webhosting. There are 25 webhosts on webhostingstuff.com’s top list since iPage is at the top of webhostingstuff.com they are the first on my list. Going by rating then number of reviews they would be number 9, but by webhostingstuff.com’s own ranking on the page for iPage.com its 60. I will start with them. In July I will go after another hosting review site and their customers. There is a lot of info to sort out on iPage. 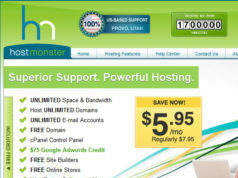 The puzzling thing is they were supposed to be hosting since 1998, but according to this link (http://www.findmyhosts.com/hostmonster-vs-iPage-vs-fatcow/) they just re-launched after years of inactivity back in October 2009. iPage.com claims to have more then 1,000,000 websites. It does not say domains or customers. Are they counting add-on domains like what geocities did? Keep in mind customer can have one plus domains, and I have seen a lot of customers with a thousands of domains for the sheer purpose of increasing their site rankings. 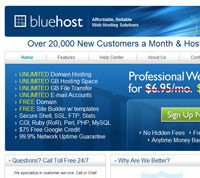 A gimmick that hosting companies and hosting review sites also employee. 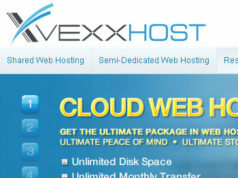 Another webhosting company on theplanet.com servers. “We apologize for any inconvenience you are currently facing. and press the “Diagnose My Connection” button. I am not going to give them my email address. But the problem seemed to happen after I went to the advertise with us link. A friend on the same network has confirmed that they do not have the same problem and can clearly see the top 10 on webhostingstuff.com’s main page. But I tend to wonder the relationship between iPage and ipowweb. The lay out of both sites has a similar feel. Perhaps the collective of companies have over 1,000,000 websites on their “Platform”. One of the ways iPage is promoting their company is an insane affiliate program with commission junction that I don’t quite understand. They offer $100 – $125 per annual account, and what appears $25 per blog. I had to look at it several times because it does not make a lot of sense, especially since they are talking about their $3.50 a month plans (which is their only plan). A full year is $42.00. However this only counts if the person ordering does not decided to cancel their order and get suckered into the last chance offer when trying to get away from the shopping cart. In which case there is no commission made by the referrer. Granted there is nothing in regards to renewal fees so I suppose they can start making a profit off refereed customers after a year or 2, if that customer buys into the extras. But that’s a lot of income being taken away from the service of the customer. It is however very desirable to those that want the income to push this product when they can get a very high pay out for a single sale. Making it to where anyone that wants to push hosting is not going to go for an affiliate program that while rewarding the referral, is not giving away the farm to get the new customer. Keep in mind not every customer is going to come through the commission junction program, and this is not going to be iPage’s only source of advertising. 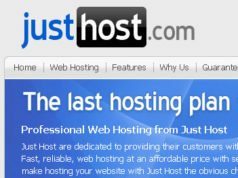 After all they are also paying the cost to remain on number 1 host out of 25 with webhostingstuff.com. Not to mention Commission Junction is not exactly bringing affiliates for iPage for nothing. Clearly you have a choice to select between a company that pays more for making sure you get the best service, or more to those that would bring customers in like cattle. 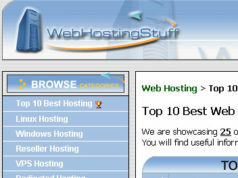 Webhostingstuff.com is not the only company parading this company as being a highly regarded website. Going to Google I get a load of various affiliates, and a list to add of people that are in the business of webhosting reviews. Though it appears they are like webhostingstuff.com is paying the most for “advertising”. I found it on a few affiliates that try to appear as unbiased reviews. But none of these sites are hosted on iPage.com’s network. 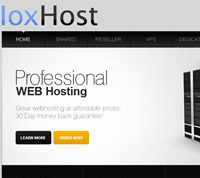 http://www.webhostingbreak.com/ is one of the sites that has a glowing endorsement. Better yet Ian (owner of webhostingbreak.com), allows you to do blog posts about hosting companies. Using other people to help advance his own website to promote hosting companies on his lists, all of which have affiliate programs. After a long review of search engine results it’s hard not to find negative feedback about the support, uptime, and at times support responses that don’t understand the most basic of questions. Worst yet a repeat pattern where people are told there was no outages when asked for the cause of the outages. I find it remarkable based on the negative feedback that I have found that iPage.com has no negative feedback on webhostingstuff.com. The only glowing endorsements I can find are those that are clearly affiliates that have a coupon code so you can get service for $3.50. The terms of service, or the many pages of terms of service. Are somewhat long and cumbersome for a product that is only $3.50 a month. Frankly I have had credit card agreements, cell phone contracts, and loan agreements with less reading involved. Considering the amount of time I have spent on researching this company already, I am not willing to invest anymore time into digging in to their terms of service. So at best I am going to tell you what I have found while glancing and looking for certain parts of the terms of service. Namely the domain name, since they offer a free one. I am no big fan of hosting companies that want you to buy or transfer your domain to them. I don’t see a third option with iPage to simply change your dns to their servers from the domain register you have your domain with. You have to read the terms of service to see what they might mean by transfer which appears to mean changing your dns. Nothing clear in regards to that. The free domain is somewhat fuzzy on its own. I don’t have a problem so much with the domain being free for the life of the account, its an incentive. Not exactly one I would have preferred to use. But the fact that they do not disclose how much the domain will cost if you decided to leave. I had to call to find out, and its $15.00 (however the site lists it as a $9.95 value). I stated I could get it cheaper else where, so I was not interested in buying a domain through them. I also asked about just changing my dns, and not transferring the domain. The operator on the other end was unclear on the details. But they do try to transfer you from your existing domain register, unless you contact them prior to ordering. These days you can get a domain for less than $10 from many fine registration companies. After all who wants to pay extra to a hosting company they may not like. Then their User Agreement and their Domain Registration Agreement do not agree with one another. User Agreement 2.b.i: If your plan includes a free domain name and you cancel within the first 30 days, a fee for the domain will be deducted from your refund. If you do not wish to keep the domain name, iPage will take possession of the domain and the fee will not be charged. Domain Registration Agreement 4: Once a domain name has been registered or renewed through iPage, no refunds will be given for the domain registration or renewal fee. On one hand they can charge you $15.00 non-refundable on the other they refund all your money. Also in User Agreement 2.b.i: at any time by either party by giving the other party thirty (30) days prior written notice, provided that we may charge You a minimum $35.00 charge as an early cancellation fee. Meaning after you cancel after 30 days and you paid for a year ($42.00) you could get $7 or less. Going to the order form they automatically selects 2 year pricing. I am not sure about their experience, but generally I have had forms on monthly pricing, often customers would not even bother reading the terms of service or for that matter see what they were paying for. But the worst part I think is that they preselected some add-ons, Prevent Identity Theft & Secure Your Data ($12.95 a year) and Automate Your Site Backup ($12.95 a year). That’s an extra $51.80, if the person who ordered did not bother to check the bi-annual billing, versus $25.90 for the year). Finale here is my chat session with one of their (shared) staff, you will get what I mean after you read the transcript. Needless to say I found out more than I thought I would ever get out of a chat session. BTW I am Benjamin. Thank you for contacting support. Please be prepared to answer your Security Question when we begin chatting. To enhance our security protocols, we’ll need you to provide the answer to your Security Question at the beginning of our conversation. If you have not yet set your Security Question and Answer, please log into your account now to set it up. Thank you. Please hold for the next available operator to respond. Bryan Smith: Hi Benjamin My name is Bryan Smith, how are you today? Benjamin: I was wondering if you could give me details on some of the freebies offered on your main page that are not listed on the hosting features site. In regards to carbonite and shopsite. There are no details that I can see as to what I get with these two services if I sign on with you. Bryan Smith: I apologize for the wait time. Bryan Smith: Could you please provide me with the URL from where you have entered this Chat interface? Bryan Smith: May I have the URL of our website through which you have logged into this chat? I need the URL of our website where you have clicked the Chat icon. Bryan Smith: I apologize for the inconvenience this has caused you. But we need your co-operation as we are in the process of enhancing the Chat icons on our website and during this period we want to identify the exact page from where you have contacted us. This will help us to determine the list of pages from where we usually get the chats and organize the Chat icons in a better way. Benjamin: but you only have one main page, either you know it, or you are supporting more then one company. Bryan Smith: Thank you for your interest in iPage. Bryan Smith: Yes, we are supporting couple of hosting company. Bryan Smith: I will provide you the information. Bryan Smith: May I place you on hold for 4 or 5 minutes, while I check this for you? Bryan Smith: Thank you for holding. Benjamin: if I decided to not stay with your company how much does it cost to keep the domain name? Bryan Smith: Only $10.95 per year. Benjamin: how many other companies are you supporting? To be honest I was looking for a company with its own support. Bryan Smith: Only two hosting company. Bryan Smith: iPage and FatCow. Bryan Smith: FatCow offers the Carbonite. Benjamin: May, ask where you are located? Bryan Smith: Our headquarters are in Burlington, MA, but I’m located in one of the support centers in Mangalore, India. Bryan Smith: Its not our real name. Bryan Smith: Is there anything else I can assist you with today? Benjamin: why would you not use your real name? Bryan Smith: Due to a security reasons we do not use it. I ended the chat session after this, perhaps if I dug more I could have found out that this was not even a human being, after all Brian said “its was not our name“, I felt if I dived in any closer and I would find myself in the twilight zone. I have no problem with names that are not of European descent, but it seems a bit odd to use a fake name for the sake of security of someone in India. After all he could just go by his first name (is the person on the other side even male?). It’s not like my name is all that rare, and I am sure the person on the other end has a common (maybe Hindi) name. But perhaps I could have found out more information from the person on the other end that eagerly volunteered information. I tend to doubt that fatcow is the only site behind iPage. I tend to wonder if iPage was somehow absorbed into the collective known as fatcow. It’s clearly cheaper to get hosting from iPage.com then fatcow.com. Which makes me wonder since iPage.com is cheaper, if whatever company that own fatcow is now seeing a slide in sales since it seems like unlimited hosting gets cheaper and cheaper as the months go by. My suggestion, avoid this company as well as any company that tells you that they offer you unlimited hosting for dirt cheap. Offers you tons of freebies like carbotnite, but that’s just a trial account, not the full version. They also offer Google AdWords, Facebook advertising credit, Yahoo … all of which I get in the mail for free straight from those companies. This is nothing more than a gimmick to get you into buying service from those advertising outlets. Then there is WordPress and Joomla, also free. 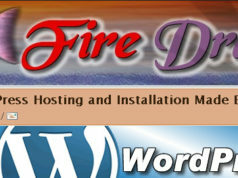 The most I have paid for WordPress is on themes and applications. A lot of stuff that most people would never need. I am not a Joomla User, though I can tell you it was a support headache. But both of which you can install for free, especially if your host has a program that sets up apps like the one I was using with cPanel. At this point I have to stop digging, as the more I dig the more I find. I wanted to spend no more than a day looking into this. Yet I spent 5 days. I have more content then I care to post, as I could devote a whole site to just what I found on iPage.